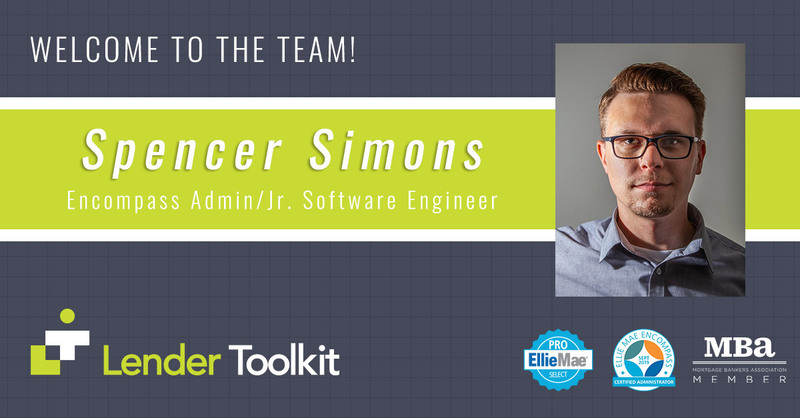 Lender Toolkit Welcomes Spencer Simons! Lender Toolkit is excited to welcome Spencer Simons to our team. Spencer is well versed on Ellie Mae Encompass® and will add tremendous value to our Admin services. In addition, Spencer will be our Jr. Software Engineer ready to move forward on the Next Gen™ platform ensuring our Clients will be able to maximize their Encompass® experience.